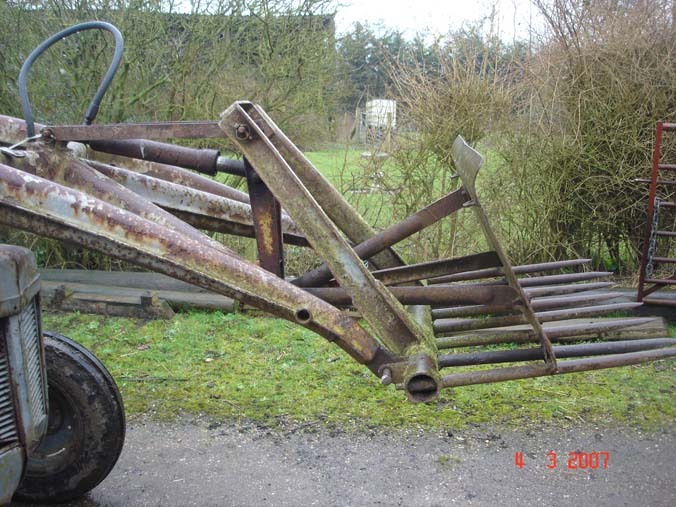 The High Lift (Banana) Loader (see loader here) was originally sold with either a bucket (see below) or a muck fork, and the other was sold as an accessory. 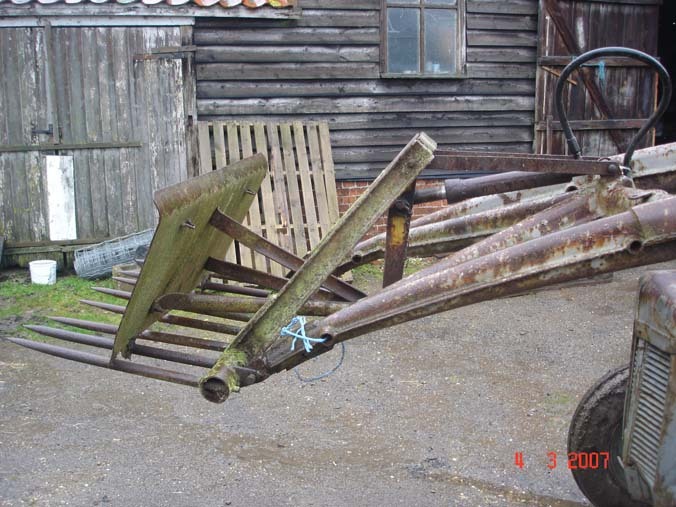 This muck fork was made from two poor examples and is now only missing the springs (to be fitted shortly). A couple of tines could do with straitening, and the ram will need resealing when time permits, although it works fine as is. 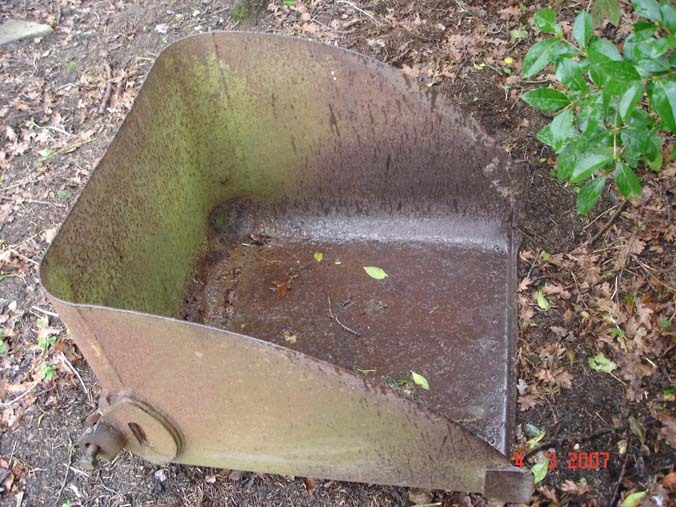 This bucket came with the loader tractor and is worn, with a few holes to the rear of the floor. Although there is a better example in the collection, this one is used as the holes do not detract from it's use for moving soil. Here is just a selection of the linkage pieces in the collection. On the left is an original top-link with rack. 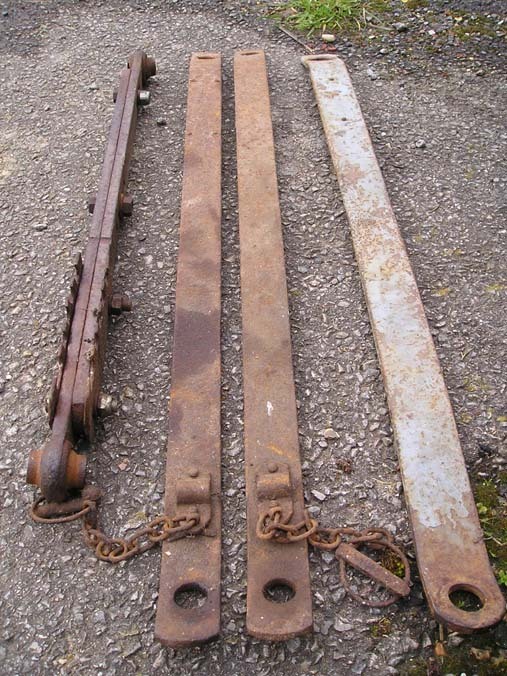 In the middle is a pair of unusual pick-up-hitch bars, for use with a specific hitch (which I do not have yet) which does not require the usual pin to attach the bars to. On the right is one of the standard TE series pick-up-hitch bars.